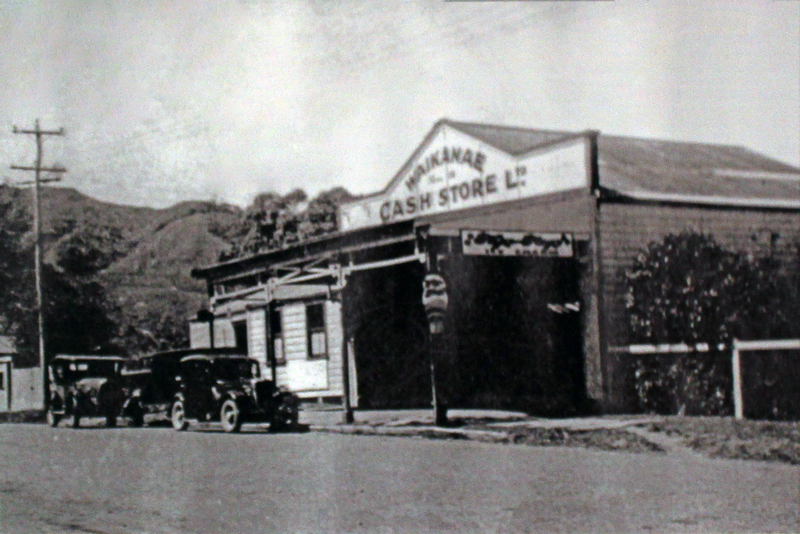 a photo of Waikanae Cash Store (in other words “no credit”) which still exists as the Eastside Foodmarket. From the look of the cars, this was probably circa 1930. 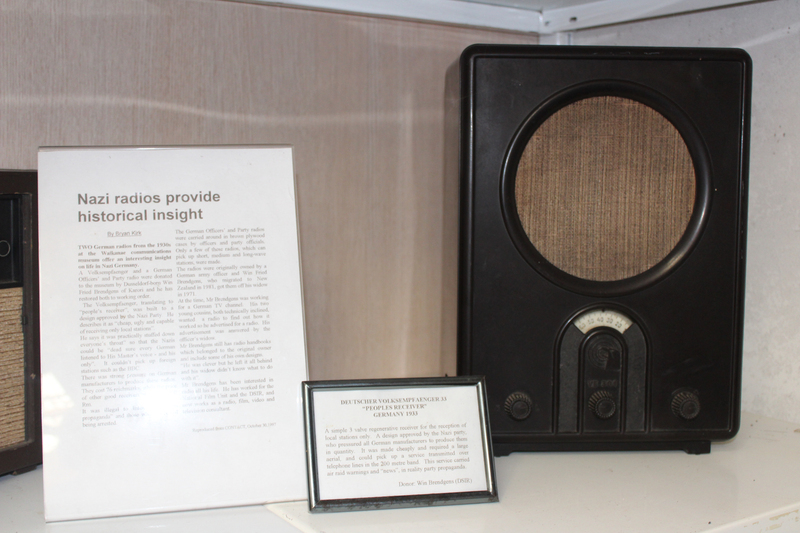 The Volksempfänger radio receiver promoted by the Nazis in 1933 so the populace could listen to party propaganda, particularly, the Führer’s speeches. The western end of Elizabeth Street has a number of historic Waikanae features, and for day-trippers arriving on the train or bus, it begins within a short distance from the platform. We’ve mentioned some of the features in previous posts; this one contains the Kapiti Museum’s pamphlet. After our lunch in Relish yesterday, we strolled across the street to reacquaint ourselves with what we may have overlooked on previous visits. Being the old town post office, you’d expect to find items relating to days when it was known as the P&T — the Post and Telegraph Office — and there are several artifacts including a couple of artworks of the Reikorangi Post Office: it had its own small building until 1962. 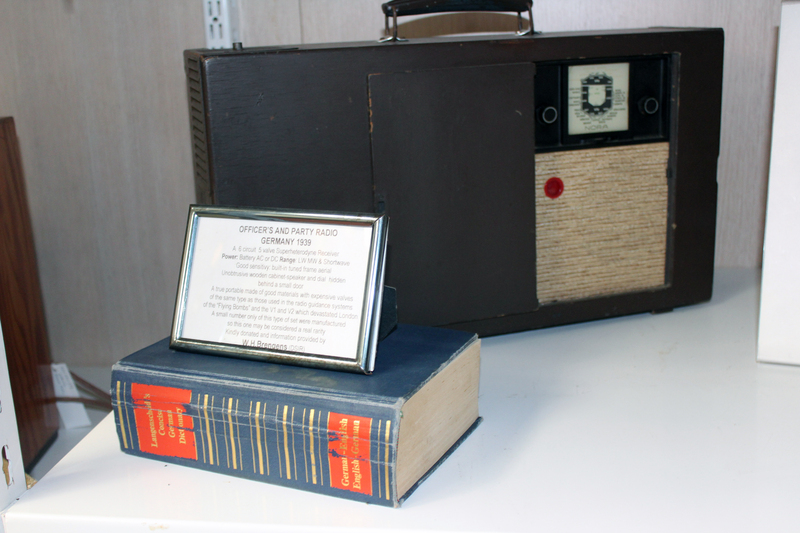 In one place there is the Waikanae Telephone Directory from 1939 on display — it’s a short list. There is a complete section of radio and broadcasting equipment from the past, not just from NZ, examples above. There are many photos of the old days on the walls; exhibits include old typewriters, a sewing machine, mannequins with old clothes… in all easily enough to occupy a couple of hours. It is open Fridays from 1 pm to 4 pm; Saturday & Sunday from 2 pm to 4 pm and most Public Holidays from 2 pm to 4 pm. Entry is free although a gold coin donation is appreciated.